Over the last 50 years or so we have seen a large shift within the western diet, in which an increased consumption of highly processed foods has now become the norm. Combine that with a significant reduction in exercise levels, and you have a recipe for disaster. And this disaster is known as diabetes. Or to be more specific, type II diabetes. Once known almost entirely as adult onset diabetes, type II diabetes is becoming increasingly common in both adults and children across the nation. Typified by the body demonstrating a resistance to the hormone insulin, resulting in chronically heightened blood sugar levels, cardiovascular disease, an increased risk of stroke and heart attack, among a host of other health implications. Eucalyptus oil is a disinfectant, insect repellent, and treats many health conditions. It's one of the most versatile essential oils. 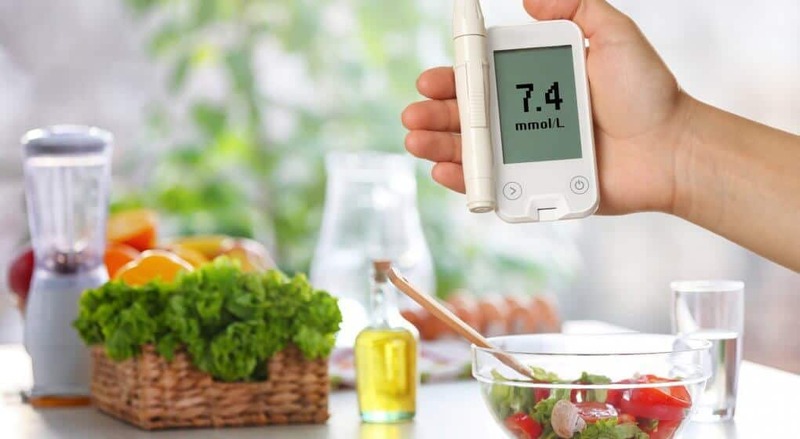 It is important to note that the cornerstone of diabetes management should always be the implementation of a healthy diet (restrict energy intake, increase dietary fiber intake, reduce total and saturated fat intake) and solid exercise regime. Micronutrients are an important component of a balanced diet. Uncontrolled diabetic patients are usually micronutrient deficient because of poor dietary choices. Although, once these things are in place, a number of supplements have been shown to help manage diabetes and improve health. How Do Diabetes Supplements Work? A good quality diabetes supplement can impact the body positively via two key mechanisms. First, they can cause an immediate and primary reduction in blood sugar levels. Their consumption will result in less glucose being absorbed into the blood, and an increased uptake of glucose from the blood into the body’s tissues. This will greatly reduce resting blood sugar levels, which is known to place significant stress on the body’s systems. Second, they can cause an increased sensitivity to insulin. Insulin is a key hormone that promotes the movement of glucose from the blood and into the muscle tissue, where it is stored for use at a later date. Diabetics become resistant to insulin, which results in chronically elevated blood sugar levels. But, by increasing the body’s sensitivity to insulin, a good supplement can further reduce resting blood sugar levels, improving metabolic health as a result. What should I look for in a diabetes supplement? Green Tea: is well known for being one of the most healthful beverages on the planet. Its consumption has been shown to improve the body’s ability to breakdown and metabolize glucose for energy, resulting in a drop in resting blood sugar levels . Magnesium: is a key mineral that has been shown to hold importance in regulating blood pressure and insulin sensitivity. As such, its supplementation has been suggested to directly improve the body’s sensitivity to insulin, leading to an improvement in the body’s ability to manage blood glucose . Alpha-Lipoic Acid: is a key fatty acid that is known to help the body break down sugar for energy, while also improving insulin sensitivity – both of which are integral to improving upon the diabetic state. As an added bonus, alpha-lipoic acid has also been shown to protect the nervous system from the degenerative disorders associated with diabetes . Cinnamon: is a well-known aromatic spice that has been used for thousands of years in traditional eastern medicine. Interestingly, compounds within cinnamon have been shown to act in a similar manner to insulin, promoting the movement of glucose from the blood and into the body’s tissues. As such, its consumption can result in significant a drop in blood sugar levels . Chromium: is an essential mineral that has been shown to improve the body’s sensitivity to insulin, thus causing improved management of blood glucose. This makes it an excellent option for diabetics with impaired insulin function . Now I should note the market is absolutely saturated with diabetes supplements – which can make finding a good option quite challenging. As a result, we have done all the work for you, outlining what we believe to be the top three diabetes supplements available on the market. 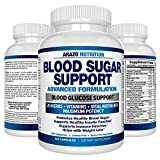 Arguably the most popular diabetes support supplement on the market today, this option by bioscience has everything you could want. Using high quality ingredients in potent doses, this supplement offers a great option to help reduce blood sugar and improve insulin sensitivity. As an added bonus, it also provides the body with a host of essential vitamins and minerals that have been shown to have some associations with improved metabolic health – ensuring all bases are covered. Nature made have been building a solid reputation for developing high quality supplements using all-natural ingredients provided in scientifically supported doses – something that is quite obvious when we take a look at their diabetes health pack. Using key ingredients that have shown time and time again to improve blood sugar levels and help manage insulin, this is a great option. Vital Net Labs blood sugar support is the newest supplement ion this list – but don’t let that act as a deterrent. Using proven ingredients and coming in a quite an affordable price point, this is another good option that can be used to help improve diabetes when used in conjunction with traditional methods of treatment. Diabetes is becoming an increasingly common issue across the entire western world. While the first point of treatment should be implementing a healthy diet and solid exercise regime, there has been some evidence to suggest that certain supplements may also play a role in improving metabolic health and managing diabetes. These supplements can improve the body’s ability to use the hormone insulin, while also causing a significant drop in blood sugar levels – both of which is essential to improving upon diabetes. If you have had any experience using supplements to help manage blood sugar and diabetes, we would love to hear about it – so drop us a comment and we will get back to you ASAP.